With Thanksgiving next week (WOW!) we are getting the house ready to host, which means lots of laundry happening! Figuring out the functionality and design of a hardworking room like the laundry room is often a challenge. We’re partnering with Home Depot today to tackle updating our laundry room into a space that is functional and fun for the entire family. We started with an update to our washer and dryer. When we shared our laundry room renovation photos, I was so excited to have turned the space from an unused under stairs closet into an actual functioning laundry room which gave us the ability to take our tiny and outdated bathroom and turn it into a spa like basement bathroom. Although the laundry room was pretty at that point, It wasn’t very functional for me. I disliked the front load washer and dryer and had been waiting for an option to go back towards the old fashion top load model. Luckily, we now are back to what I love with the Samsung 7.4 cu. ft. Electric Dryer with Steam in White & Samsung 5.0 cu. ft. High-Efficiency Top Load Washer in White, ENERGY STAR. Read more about why I love these products over on the Home Depot blog today. 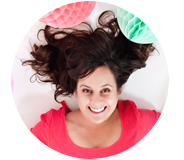 To make laundry day more fun for us all, I’ve got 3 tips for creating a wash system you can actually celebrate. One of the worst laundry day mishaps is when you accidentally wash something you wish you didn’t. with our new top load washer we always look at the top before opening so we can use a dry erase marker or a sticky note to leave ourselves notes! It works like a charm. Did you know you can write on most white washers with dry erase markers and then just wipe off when needed!? No more wishing you had remembered – to not wash that red top on hot. Instead, remind yourself to, “Don’t put the pink dress in the dryer”, or “wash the whites on hot” and never have a laundry day mishap again. 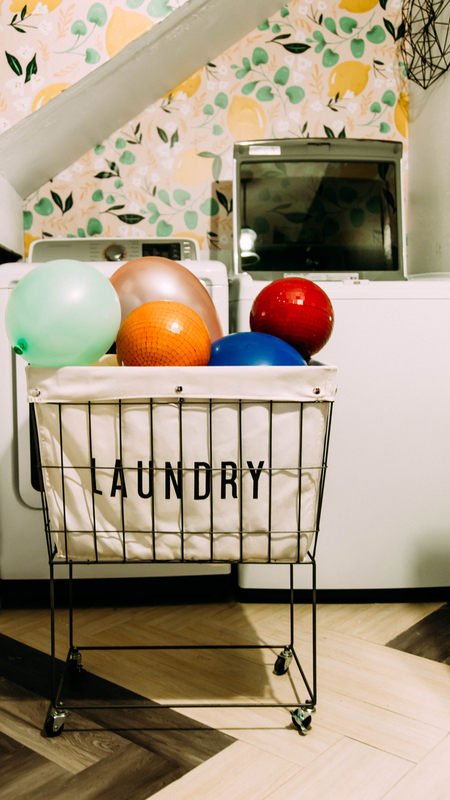 Although this might seem silly, when trying to enlist the family in helping with laundry day can be a lot easier when you add a little fun to the mix. 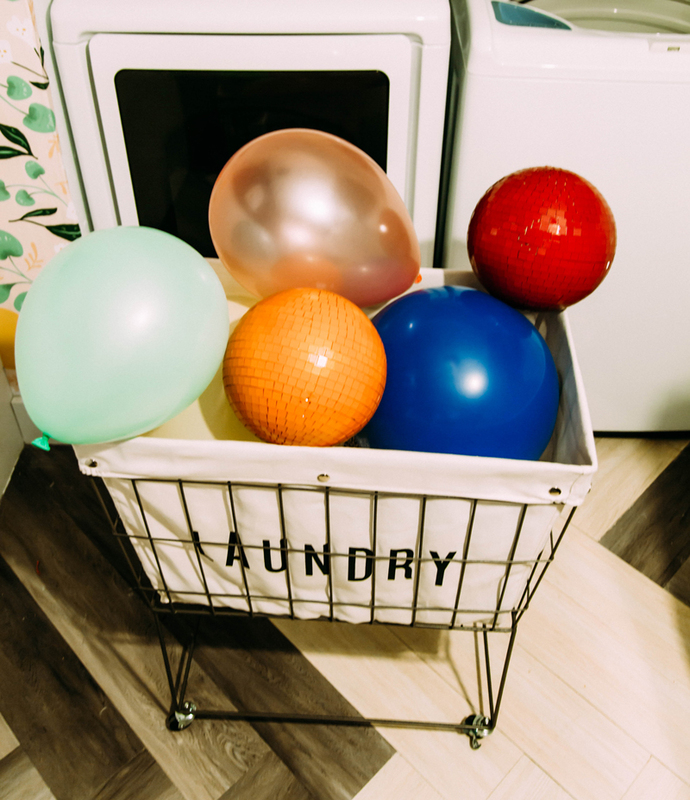 Filling a basket with balloons and disco balls to play with while putting away the clothes or turning on tunes to rock out to while folding can liven the entire experience. 3. Decant all your supplies. Having a laundry room that is functional is important for getting your laundry done, having one that is pretty will make doing laundry a joy! I love using glass bottles to decant all our soaps and supplies. Not having large bins of soap to haul to the washer helps the process stay streamlined as well as pretty! 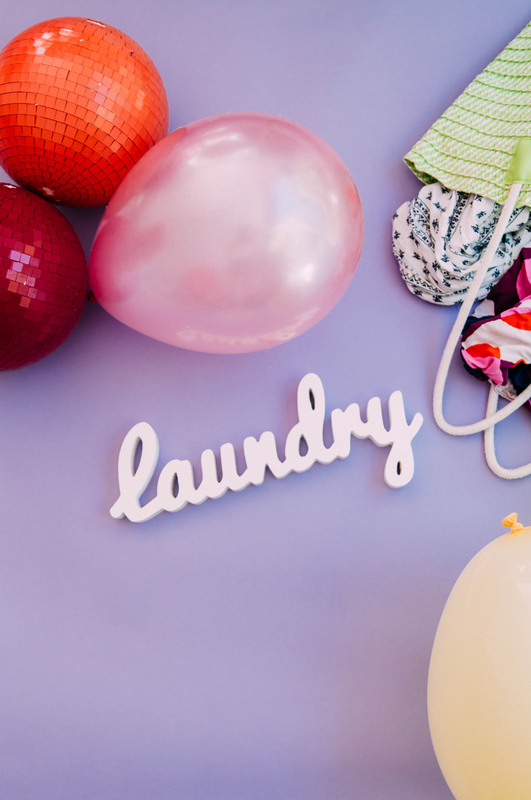 What laundry tips do you use to make washing more fun!